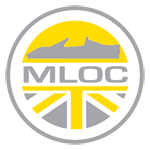 I think a lot of Loti will be at the MLOC Lotus in the Peaks event at Chatsworth house tomorrow so may be quieter than usual. You do realise Worcestershire is in the Midlands? Might be better merged with that area. Will send you a PM in a bit when the kids are asleep. I just checked and its not as simple as it sounded, its not that they were using the hidden master template but its an incompatibility in your skin with IE6. Its a conspiracy as we had the same attack on MLOC from that address, also had Korea today as well. To be honest there isnt a day that goes past without some script kiddy trying something out! Think I'll wait for the next release as a lot of its just code teething troubles it seems rather than taking the first cut. Still think your brave doing this straight on live Have updated our dev forums so far and had nothing but problems in the upgrade and testing, even on the standard skin. Thanks for the support mate, it really is an awesome car! Your brave Bibs, not upgrading MLOC until I have tested it to the max on our dev system first! I have been bitten before by IPB upgrades! Lotus T125 - Orders being taken NOW!